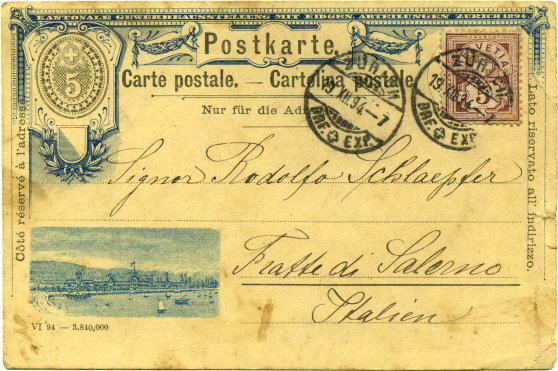 A Swiss postal stationary postcard. The heading is in three languages. It has a fancy border with a small view of Zurich on the front. Cross written on reverse.